Want a capable and charming SUV for less than twenty large? Well, you’re in luck! 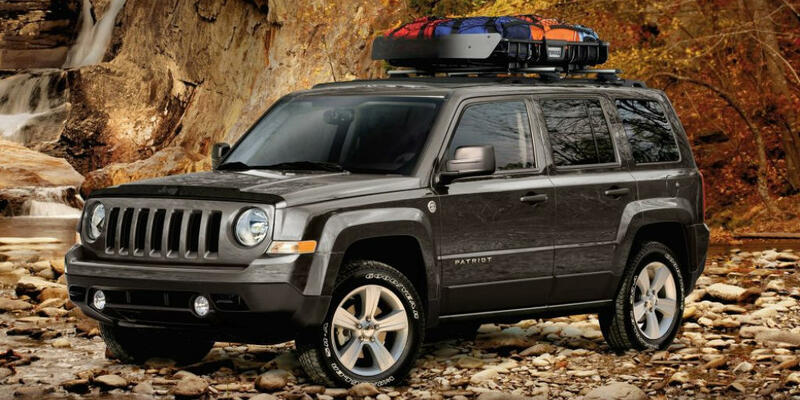 The Jeep Patriot fits the bill by offering competent basic transportation in an affordable package. Ten years into production and still selling incredibly well, the US market seems to respond to this recipe. If you can live with minor imperfections, a Patriot will save you several thousand dollars while providing Jeep’s legendary aptitude. Jeep claims the Patriot is the “Best Priced SUV in America” and we concur. It has a base price barely over 18k and common incentives put the price around $15,000. That’s a lot of SUV for not a lot of money. Given 2017 marks the SUV’s last year in production, expect deep discounts soon that make the Patriot all the more attractive from a value perspective. In addition, this Jeep is one of the brand’s more reliable SUVs. So long as you can live without the latest modern features and mediocre performance, the Patriot is an excellent choice. The Patriot is available with two different engines and three different transmissions. The base 2.0 Liter inline four makes 158 horsepower, while the larger 2.4 Liter makes 172 horsepower. The latter is only available with the CVT or six-speed auto and the former, with a 5-speed manual or CVT. Equipping “Four Wheel Drive” is only available with the larger engine. We put 4WD in quotes because it’s really a front wheel drive system that only powers up to 30% at the back wheels when the front wheels lose traction. A full-time 50/50 differential is available as an option only with the CVT transmission. Which is unfortunate, because the CVT is cause for much consternation in many Patriots. We talk more about that in our reliability section. Both the six-speed automatic and CVT hold revs high to get meaningful performance out of the undersized power plants. This means you’re overly optimistic to expect the full EPA fuel economy ratings out of either. The on-road manners are surprisingly pleasant in the Patriot, road and wind noise are hushed for a budget SUV. Don’t expect sedan- Equipping “Four Wheel Drive” is only available with the larger engine. We put 4WD in quotes because it’s really a front wheel drive system that only powers up to 30% at the back wheels when the front wheels lose traction. A full-time 50/50 differential is available as an option only with the CVT transmission. Which is unfortunate, because the CVT is cause for much consternation in many Patriots. We talk more about that in our reliability section. Both the six-speed automatic and CVT hold revs high to get meaningful performance out of the undersized power plants. This means you’re overly optimistic to expect the full EPA fuel economy ratings out of either. The on-road manners are surprisingly pleasant in the Patriot, road and wind noise are hushed for a budget SUV. Don’t expect sedan- A full-time 50/50 differential is available as an option only with the CVT transmission. Which is unfortunate, because the CVT is cause for much consternation in many Patriots. We talk more about that in our reliability section. Don’t expect sedan-esque handling some competitors provide, as there’s noticeable body lean and poor grip when pushed. However, that’s never been the point of a Jeep and all patriots are decently capable off-road. There are a high ground clearance and commendable traction control systems. To get full off-road potential, you’ll have to opt for the 2.4 Liter with a CVT with Freedom Drive II which allows low range 4 Wheel Drive. We’d skip it though, as many complain about the CVT’s erratic behavior. A 5-speed manual Patriot Sport will provide the best everyday driving experience and better fuel economy. The interior reflects the exterior of the Patriot. It’s basic on the inside but we don’t think that’s a bad thing. It’s got everything you need standard. Well, except air conditioning, which will cost you an extra $1,350. The standard audio system is analog operated but features Bluetooth, USB, auxiliary, and voice command capability. The celebrated touchscreen Uconnect infotainment system with an integrated rearview backup camera costs just $995. The driving position is high and provides generous visibility but may be cramped for some by the protruding center console and close pedals. The standard cloth seats are decent at best, the cushioning is suitable for short trips but long drives will reveal their weaknesses. The rear seat provides bountiful room for two adults but three will have to huddle. Optional vinyl and cloth or leather seats improve matters somewhat though these seats won’t be winning any awards soon. There are plenty of nooks and crannies to stash detritus. The simple materials used in the cabin make it easy to clean and useful. On the cargo capacity front, this SUV ranks near the bottom of the class but the 53.5 overall cubic feet of space should be enough for the needs of many. While the interior of the Patriot is no stately cabin, we believe its beauty lies in its simplicity. It provides many drivers with all the features they need without extra complication or fuss. The Patriot is a well-designed compact SUV. Jeep did a commendable job of mingling classic style with a truck-like shape to create a truly timeless facade. The signature 7 port grille is sandwiched between retro round headlamps. The sides feature prominent, protruding fenders and body-side molding. A flat rear with basic tail lights completes the boxy, tough-looking aesthetic. The standard roof rails include adjustable crossbars, saving you a few hundred dollars if you plan to stow things up top. There are a plethora of various special editions and limited releases over the years that further enhance the Jeep’s stature. We think the simple utilitarian design only enhances this SUV’s appeal, considering it’s one of the most affordable SUVs on the market. The Patriot receives rather average safety scores. The Insurance Institute for Highway Safety awards “GOOD” crashworthiness ratings in most categories. However, it receives a “POOR” rating in the small overlap front test. According to the IIHS, the “driver’s space was seriously compromised” and “measures from the dummy indicate that injuries to the left lower leg would be possible.” Additionally, the head was left vulnerable to contact with B pillar because the steering column moved up and to the right upon contact, leaving the steering wheel mounted airbag less effective. Speaking of airbags, many Patriot model years are subject to the Takata recall. Thousands upon thousands of Patriots are equipped with defective airbag parts that may cause failure to deploy in the event of an accident. We’d run the VIN through the NHTSA website to determine whether you’re affected. The NHTSA assigns a 4-star overall crash test rating for the Patriot, noting particularly poor performance in the front passenger seating position. There is no advanced safety technology available. Furthermore, anti-lock brakes are not standard, so you may want to give the brakes some attention on the test drive to see if it’s something you can live with. The Patriot ranks below average for safety in the Compact SUV segment. Fortunately, the 11-year production run of the Patriot has provided us with plenty of data to make a definitive reliability judgment on this compact SUV. There’s extensive NHTSA data on this model and several hundred thousand units have been sold. Yes, there are several recalls for various year models. As a result, you should run the VIN of the particular Patriot in question to ensure various recalls have been performed. If it’s one affected by the TAKATA airbag recall, understand that you may be out of luck if you want your airbags replaced. On the flip side, you can use this to negotiate yourself a better deal. The highest number of complaints about the Patriot is 189 on the 2011 year model with a year over year average closer to 60, at the time of this writing. Those are relatively low numbers for a Jeep and the number of vehicles sold. The overwhelming majority of complaints relate to the CVT transmission, one of three transmission options yet the most popular. The transmission overheats, slips, stalls, and fails, all with less than 80,000 miles. The second most common complaints are for various suspension related issues like steering pulling to either direction and control arm failure. Newer models are equipped with an electronic throttle body that may fail yet it’s worth noting that this accounts for fewer than forty complains in over 100,000 Patriots. 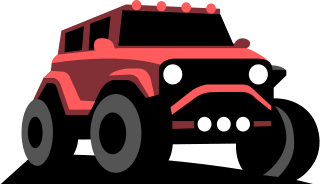 Despite these issues, we’d rate the Patriot as one of the more reliable compact SUVs you can be and perhaps one of the most reliable SUVs made by the Jeep brand. We’d avoid the CVT transmission unless you drive leisurely at all times, as it seems driving the Jeep hard will exacerbate the underlying transmission issues. For left pedal lovers, there’s not a single complaint about the 5-speed manual transmission. The Patriot is priced a few thousand less than many direct competitors. However, adding relatively basic options like Air Conditioning, power windows, and a touchscreen Uconnect system can quickly close that gap. Entry level SUVs like the Honda CR-V offers standard Bluetooth streaming audio via a 5-inch touchscreen display, more interior legroom, a more powerful and efficient engine, and a refined cabin with soft-touch materials. The CR-V receives higher reliability and safety ratings. Honda Safety Sensing provides some of the best driver assistance features on the market as an affordable option, while Jeep doesn’t even make these available. The CR-V extends cargo capacity to the most in the segment at 75.8 cubic feet, over 20 more than the Patriot. The CR-V handles much better than the Patriot with better steering feedback and body control in corners. It’s not sporty but it’s quicker than the Patriot. The CR-V’s 8.2 inches of ground clearance help it handle light off-roading needs with ease but it’s not as capable as the Patriot. For most, spending the extra few thousand on a CR-V is money well spent. However, some will appreciate the spartan Patriot’s no-frills attitude and distinctive Jeep heritage, value that’s difficult to quantify. The Sport FWD trim starts from $18,040, powered by a 2.0 Liter inline 4 cylinder Dual Overhead Cam 16-valve dual VVT engine mated to a 5-speed manual transmission. The brakes aren’t ABS but feature Brake Assist technology. Firm feel power steering and touring suspension provide the handling. Premium cloth surfaces cover the front bucket seats and rear 60/40 folding seat. Rear seat heat ducts keep your passengers warm. On the inside, there’s a 12-volt auxiliary power outlet, an air filtering system, auto-dimming rearview mirror with microphone, bright interior accents, flat load floor storage, full length floor console, illuminated cup holders, luxury front and rear floor mats, manual doors, manual windows, map reading lights, outside temperature display, sliding armrest, sliding sun visors with vanity mirrors, tilt steering column, tire pressure monitor, variable intermittent windshield wipers, a 130 Watt 4 speaker audio system with remote USB port, Uconnect voice command with Bluetooth, SiriusXM satellite radio, and audio input jack. On the outside, 16 x 6.5 inch styled steel wheels with BSW All-Season tires are standard, as are fog lamps, halogen headlamps, black side roof rails, body color fascia, deep tint sunscreen glass, rear window defroster, rear window wiper and washer, solar control glass, a body-color grille, and rear stabilizer bar. Standard safety features include advanced multistage front airbags, electronic roll mitigation, electronic stability control, hill start assist, Sentry Key theft deterrent system, speed control, supplemental front seat-mounted side airbags, and supplemental side-curtain front airbags. A 2.4 Liter inline 4 cylinder engine is available for $545. A 6-speed automatic transmission costs $1,450 or a Continuously Variable Transaxle II can be installed for $1,350. The Trailer Tow Prep Group runs $485. The $2,045 Power Value Group adds automatic headlamps, body-color door handles, body-color liftgate applique, and illuminated entry. The $375 Interior Appearance Group installs bright door entry guards, bright pedal kit, cargo area liner, and premium floor mats with logo. An electronic vehicle tracking system is available for $495. Air conditioning is an extra $1,375. Katzkin Black Leather costs $1,300 and the ParkView rear back-up camera is $995. 4x4 adds another $2,000 to the price. The $20,185 Sport SE trim provides a Continuously Variable Transaxle II, heated front seats, cloth/vinyl covered seating surfaces, a leather-wrapped steering wheel, steering wheel mounted audio controls, and 17x6.5 inch Mineral Gray aluminum wheels with BSW All Season Touring tires. The $2,045 Power Value Group adds automatic headlamps, body-color door handles, body-color liftgate applique, and illuminated entry. The Trailer Tow Prep Group costs $485. Air conditioning is an extra $1,375. the ParkView rear back-up camera can be installed for $995. 4x4 costs $2,100 on this trim. The Latitude trim equips premium cloth seating surfaces, a 115-Volt auxiliary power outlet, air conditioning, power windows with Driver’s One-Touch-Down feature, speed sensitive power locks, different 17 x 6.5-inch aluminum wheels, automatic headlamps, and keyless entry. 4x4 costs $3,300 on this model. The 6-speed automatic costs $1,635 on this trim, while the Continuously Variable Transaxle II retails for $1,535. The Sun / Sound Group adds 2 articulation liftgate speakers, power express open/close sunroof, and a 9 Boston Acoustic Speakers with Subwoofer for $1,350. The $695 Security and Cargo Convenience Group provides adjustable roof rail crossbars, an auto-dimming rearview mirror, security alarm, and soft Tonneau cover. The Premium Sound Group adds 2 articulation liftgate speakers and a 9 speaker Boston Acoustic sound system with subwoofer. The $375 Interior Appearance Group installs bright door entry guards, bright pedal kit, cargo area liner, and premium floor mats with logo. An electronic vehicle tracking system can be equipped for $495. The High Altitude starts at $25,220 for the FWD model with CVT or $26,985 for the 4x4 model with the 2.4 Liter engine and 6-speed automatic. This trim provides standard leather-trimmed seating, a power sunroof, 17 inch cast aluminum wheels with granite painted pockets, and Bright exterior accents. The $695 Security and Cargo Convenience Group provides adjustable roof rail crossbars, an auto-dimming rearview mirror, security alarm, and soft Tonneau cover. The Premium Sound Group adds 2 articulation liftgate speakers and a 9 speaker Boston Acoustic sound system with subwoofer. An electronic vehicle tracking system can be equipped for $495.